The show prep started over the holidays with some new moonbase MOC being built and the building continued right up to the night before hitting the road. The Sunday before (January 5) was partly spent packing the truck and trailer, with an unplanned slim down of some MOCs. 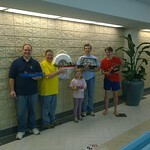 That's right we had more models than we could haul for this event and we had to leave some stuff behind in Florida. The road trip started Wednesday (January 8) at 8am with the final loading of models and belongings needed for the event. Soon after that we got on the road, we took the southern route I-75 to I-10 to US 231 to I-65. The US 231 leg was slow going though Dothan and Troy on the way though Montgomery, Alabama to I-65. We arrived in Birmingham around 8pm, checked into the hotel and parked the trailer. We met with many attendees and organizers at the early bird dinner at Chasers Sports Bar for food and drinks after a long day of driving. We called it a night around 11 or 12 midnight. Unloading started early at 9am and took about 2 hours since our display space was the furthest from the loading dock, special thanks to Tony for helping us cart things in. After the load in we went shopping for libations for the afterhours adult swim, of which took way to long in this town, not good selection of package stores in this town. 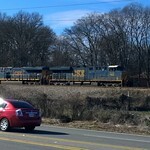 But we did see some trains on our drive around town. And then we grabbed a quick sandwich from Subway for lunch and it was back to setting up. Setup took us well into the night past Bingo and Opening Ceremonies with a quick dinner from the concession stand. We called it a night around 12 midnight. Friday morning we took a quick road trip for big breakfast and gas for the truck and headed back for the second day of setup. At around 6 pm we called it a day on the setup front and headed out for some fun with the gang from Brickmania. First we hit the local LEGO Store and then some Jim 'N Nick's BBQ for dinner, unfortunately the Brickmania guys had to bail on the BBQ place. After that we headed back for some more finishing touches to our layout. We called it a night around 1am. Saturday morning at 9am was the boat race in the Hotel pool, regrettably no one with GFLUG made a boat to enter in the race. So even though we started this great sport, we did not participate, but race was great fun to watch. Then it was back to the Convention Center to prepare for the first public day. At 11am the doors opened for the general public and crowds were 2 or 3 deep around the layout. 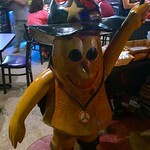 Once the show closed for the day we headed into downtown for some pizza at the Mellow Mushroom. After dinner we headed back to the Convention Center to have a few drinks, Dirty Brickster, hangout and play games into the night. We called it a night around 1am. Sunday was day two for the public and was another busy day, maybe not as big of a crowd as the day prior, but still sizable. Promptly at 4 pm we started takedown with a short break for Closing Ceremonies. At around 8pm we took a break for dinner at Chasers Sports Bar with a big contingent from the event. After dinner we headed back and finished packing and loading the trailer. We finned loading and called it a night around 1am. Monday was the drive back day and start at 8am with check-out and getting on the road. 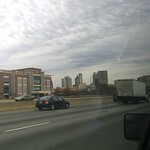 For the way back we decided to take I-20 to Atlanta and I-75 south back home to the Tampa Bay area. We made a stop for late Breakfast at Cracker Barrel along I-20 and grabbed dinner later in the day at Steak 'n Shake in Gainesville, Florida. We got back to our storage unit at around 9pm unloaded and call it a day and headed home ending our journey. Special thanks to Mark for the meals, for driving and hauling the trailer with his truck. Special thanks to Katie for the fine chocolates, helping with packing and loading and putting up with us AFoLs. Special thanks to Tony for the help with load in and the libations. And a BIG Special thanks to Todd for the meals and putting this great event together for the fans and the public!